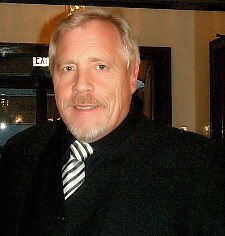 Best Chicago Psychic Edward Shanahan, Medium, Entertainer and author. Psychic Reader - Medium - Paranormal Spirit Feeler. Certified in Law of Attraction, Life Coach and Pendulum Programing - Spiritual & Intuitive Coach - Spiritual Birth Aura Personal Graphic. No Agents, No Public Relations Services, No Marketing Services. Just Edward Shanahan doing the best at what and how he does it. More people are having Edward Shanahan for their entertaining Psychic House Parties as he not only offers 'Individual Private Readings' as other psychic readers do, but he also offers his 'Readings In The Round' for entertaining readings done in the open. 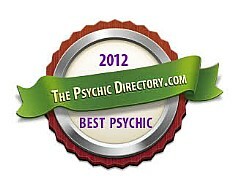 Edward Shanahan has been given the Best Chicago Psychic Award. Edward does offer his 'Design Your Own Psychic Party', a concept that allows the host the ability to provide different activities for their guests to experience, so to make the party a unique one for the guests. In the Spring and Summer it is possible to hold the readings and spirit communication outdoors. Spirit Communication with loved ones who have passed can be attempted and allows those attending to also attempt to communicate with their loved ones with a device Edward has been using for over a year now, as Edward opens the Spirit World Doors and communication can be attempted. This can also be combined with Edward's 'Circle of Energy Seance'. Private reading with Edward can be done at a Historic Location in Orland Pk, IL. The readings can be with just an individual or couples. During the readings if there is an interest, an attempt at Spirit Communication with loved ones that have passed over can be attempted also. Public Location Readings, Corporate Parties, Fundraisers, Psychic Fairs, Libraries, Boat Cruises, Paranormal Events and even large public and private parties Edward has worked and entertained at, from Chicago to Las Vegas, Florida and a private cruise group for a week. Edward provides free exposure for the public locations that he will be entertaining at. He has his own online radio podcast show and the two large publications he writes for, along with the social media sites that he belongs to. 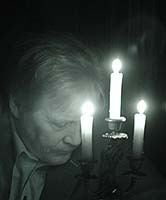 Edward Shanahan is an author of two books and four different paranormal authors have included him in their books. He is an author of over 300 articles about the paranormal, supernatural and the spiritual. Publisher of his own daily paranormal and spiritual newspaper. Publisher of two free online magazines with one being 'Bachelor's Grove Cemetery Tribute' and the other being 'Paranormal & Spiritual World News'. Edward has created the Chicago 'Haunted Archer Avenue Tour' free app and also the tour is a popular one on Pinterest as it is all mapped out on Pinterest. What is new and coming! It is free and directly to you. Readings for entertainment and answers possibly within you to your personal questions. All life decisions are solely the responsibility of the participant. The purpose is to give a view of life. There are no guarantees or liabilities. Spiritual Psychometry (Conscious Channeling), Spirit Communication at times may not be successful, but has nothing to do with the individual requesting it or the love one that has passed away. Disclaimer: My state law requires all Paranormalist and Psychic's to be listed as entertainment only. Follow Edward Shanahan on Linkedin . Haunted American Tours - Huge Web Site - The Name Says it all. Edward and Annette's: The Unexplained World - Internet radio podcast.